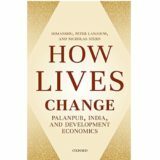 In The Globalisation of Inequality, distinguished economist and policymaker François Bourguignon examines the complex and paradoxical links between a vibrant world economy that has raised the living standard of over half a billion people in merging nations such as China, India, and Brazil, and the exponentially increasing inequality within countries. 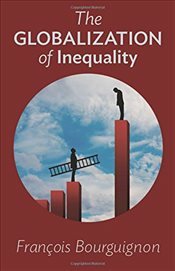 Exploring globalisation’s role in the evolution of inequality, Bourguignon takes an original and truly international approach to the decrease in inequality between nations, the increase in inequality within nations, and the policies that might moderate inequality’s negative effects. François Bourguignon holds the Chair in Knowledge Against Poverty (2013-2014) at Collège de France, Paris. He is Emeritus Professor of economics at the Paris School of Economics. He has been the Director of the Paris School from 2007 to 2013. Before that he was the Chief Economist and Senior Vice-President of the World Bank in Washington. He spent the rest of his career as a Professor at the Ecole des Hautes Etudes en Sciences Sociales in Paris. He is a specialist in public economic policy, income distribution and inequality, and economic development and has authored a large number of academic papers and books. He is also active in the international development community, lecturing and advising leading international agencies as well as foreign governments. Collège de France, Paris, is committed to fundamental research and it teaches “knowledge in the making in every field of literature, science and the arts. Presently chaired by Serge Haroche, French Nobel Prize 2012 in Physics, the 500 years old French institution, had Henry Bergson, Michel Foucault, Claude Lévi-Strauss among its professors. The Collège de France Lecture Series were inaugurated on 12 January 2015 at the Center for Social Sciences & Humanities in Delhi, in presence of Professor Philippe J. Sansonetti, Chair of Microbiology and Infectious Diseases at Collège de France, Professor at the Pasteur Institute and world-renowned scientist in the field of microbiology. These Lectures fall within the long tradition of scientific collaboration between France and India, and aims to strengthen this collaboration by generating new projects and budding new research partnerships. Every year, until 2017, three to four Professors from this prestigious French institution will come to India and deliver lectures in renowned universities and institutes all over the country.